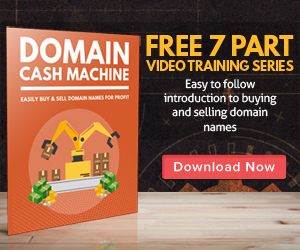 You are here: Home / Make Money Online / Are Free Domain Names Worth the Cost? Everyone likes a bargain. It’s even wise to keep one’s costs down. On the other hand, you can be so cheap that you cut your own throat. Your business website should definitely have its own top level domain (TLD) name. This means a name like yourcompany.com. It doesn’t mean a subdomain of someone else’s domain name, such as yourcompany.someisp.net. A Uniform Resource Locator (URL) or Internet address like (ignoring the http part) someisp.net/hosting-accounts/yourco/, or yourcompany.someisp.net, just doesn’t look as professional as yourcompany.com. It might be free (as in included with your web space) but it just doesn’t cut it. It is possible to get a free top level domain from Dot TK at http://www.dot.tk. (You may also get paid dot tk (.tk) domains from them.) However, there can be disadvantages to using a free top level domain name. Also, if you don’t have 25 visitors come to your home page within a ninety day period, your free domain name registration is cancelled. In most cases, it would be preferable to obtain a dot com (.com) TLD name. Dot com is easier for people to remember and there is generally an assumption that your website is dot com.